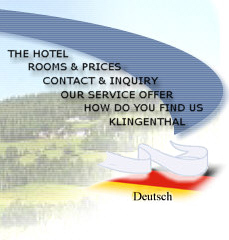 Our hotel is situated in the heart of the 400-year-old town of Klingenthal. You get to Klingenthal via motorway A9, then taking a turn onto motorway A72. You leave the A72 using exit "Plauen-Süd". From there you will get to our town in about 25 minutes, after passing through the towns of Oelsnitz and Schöneck. Once you have arrived in Klingenthal turn from the main street “Auerbacher Straße” into “Schlossstraße”. At the crossroad in the town centre turn into "Poststraße" which will lead you directly to our hotel. If you continue to follow the street "Schlossstraße" you will get to the historic round church, the town hall and the zoo of Klingenthal. Ample parking space is available in front of the hotel as well as in adjacent car parks. If you continue to follow the street "Poststraße" you will get to the historic round church, the town hall and the zoo of Klingenthal. You can get to Klingenthal not only by car but also by train or bus. The walking distance from both the train station and the central bus station to our hotel is just 5 minutes. 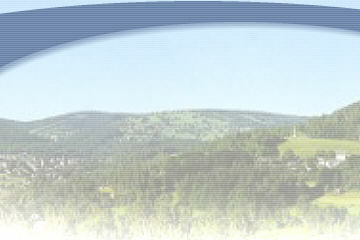 Make our “Hotel zur Post” your central base from which to explore the beautiful region of the “Vogtland”.